I often hear teachers stubbornly claim that they are no techies and that they have no intention to mess with technology at all. But the same teachers have long been using technology without even realizing it. The truth is that some things have become commonplaces and thus it's not surprising that we (teachers) keep forgetting the fact that there are the computers, overhead projectors, printers, and DVD players in our classrooms which we use skilfully on a daily basis. It's almost as if the term 'technology' itself inspired inexplicable fear, dread, and uneasiness. Personally, I can no longer imagine not having those 'shiny' objects at my disposal. But yes, sometimes I can't help but complain that technology is unreliable. And there are times when I tend to avoid it completely fearing that if technology fails, my carefully planned activities may go wrong as well. From my experience, there is one thing that almost never fails to work: the cell phone. 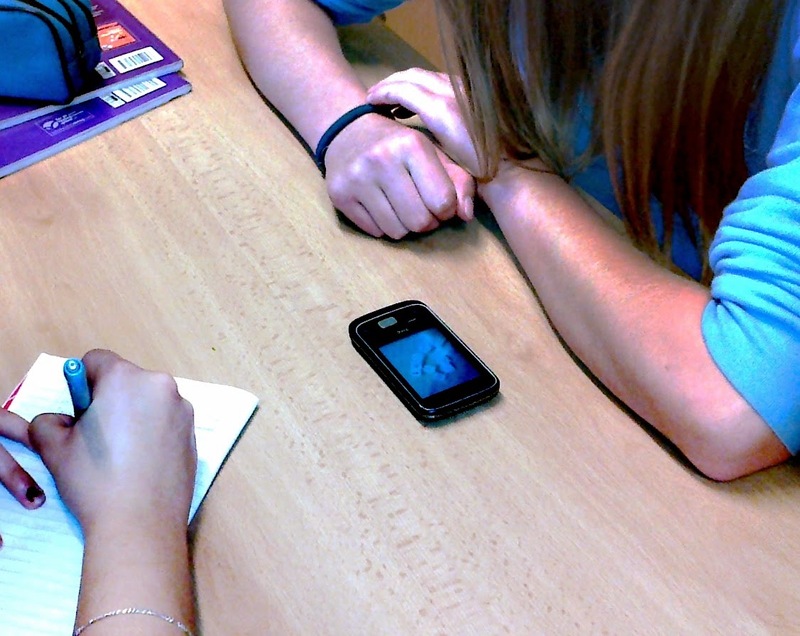 Fabiana Casella wrote an excellent blog post on using cell phones in the classroom and her post published on Teaching Village was shortlisted for The Teaching English Blog Award for Innovative Teaching Ideas. Like Fabiana, I had also asked myself the question: Why not turn these commonplace mobile devices into powerful learning tools? 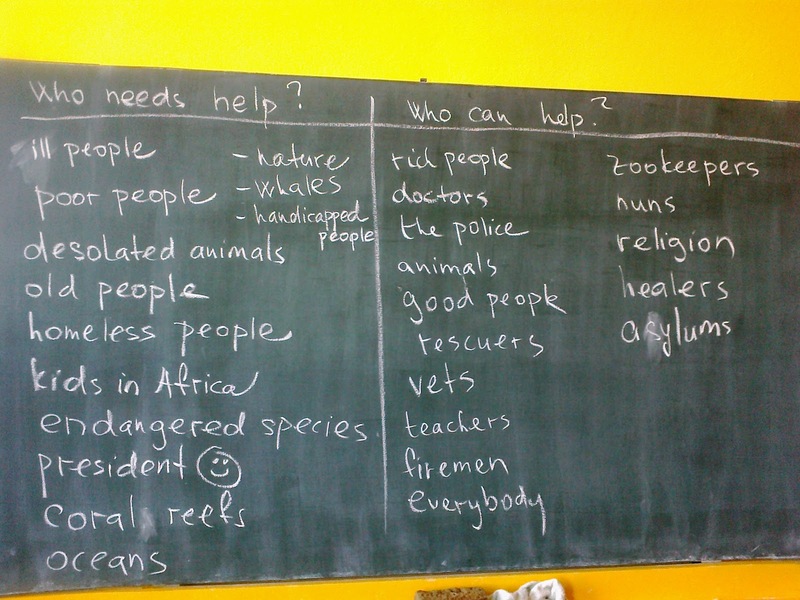 I use my own cell phone for at least two purposes related to my professional development; I sometimes take a photo of the board at the end of the class to be able to later revise and/or analyse the language input discussed throughout the class, and to improve my teaching skills in general. I also find it useful to make video snippets of my lessons, which I later watch and reflect on. I'm amazed at how much I can learn from the moments I captured with my camera. You can read more about this in my two recent posts: Through the Lens of Communicativeness and Observing Class in Retrospect. The best thing about cell phones is that almost every student has one, at least here in the Czech Republic. And even the cheapest, low-tech phones can be used effectively in the classroom because apart from cameras, they have recorders, calculators, calendars, and stopwatches embedded in them (not to mention dictionaries and various cool applications available with smartphones). I'd like to share an activity I've recently piloted with my classes across several levels of proficiency. I like this activity because it combines the traditional and the modern approaches. In addition, it promotes imagination, creativity and collaborative learning. As I wrote in one of my posts, there are a couple of items I always have in my survival kit. One of them is my Rory's Story Cubes box - a so-called creative story generator. 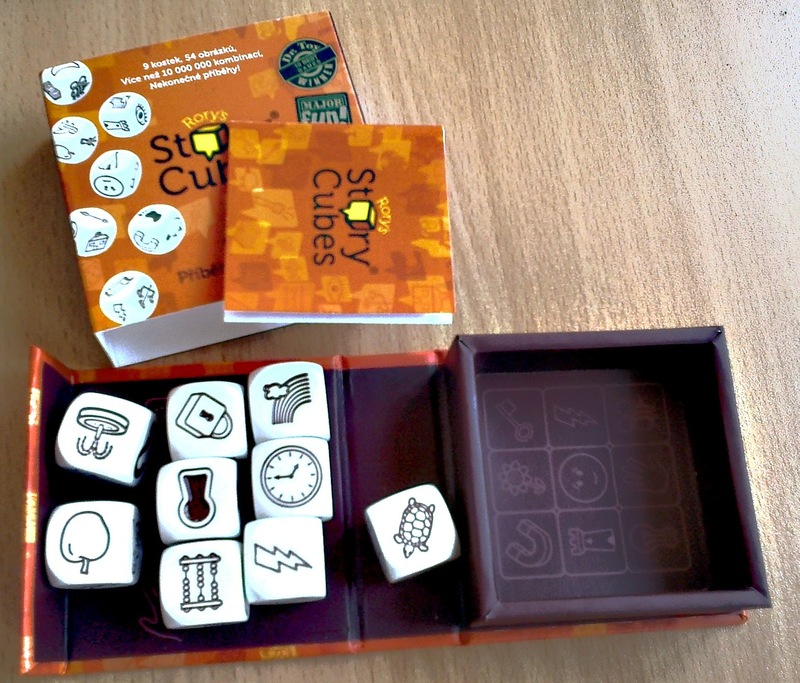 The rules of this game are simple; one player rolls all the nine cubes and the story telling based on the images on the uppermost faces of the cubes can start. The symbols can represent almost anything. Based on my observations, students tend to stick to the literal meaning, which restrains their imagination, so I encourage them to go beyond the physical and material - towards the metaphorical meaning (a pair of scales can represent something heavy, light, or even unjust). This game can be played solitaire or with others - in pairs, groups or even as the whole class. I prefer it when my students play it in small groups (of three or four), so that everybody gets plenty of opportunities to speak and, at the same time, the students are encouraged to collaborate, share ideas, and finally come to an agreement. Here's a description of a lesson in which I used this activity in the 'traditional' way. And now technology comes in handy. As I only have one set of cubes, I ask each group to use a phone and take a photo of the cubes after they have been rolled by one of the group members. The image becomes virtually immortal if not deleted, and it can be stored and used later if necessary. The students can work on the story in the following lesson, at home, they can share the photos and/or attach them to their stories, upload them, compare them, etc. But with technology, you don't need to buy Rory's Story Cubes at all because there're also a Rory's Story Cubes application available for the iPhone, iPod Touch, iPad, iPad mini and for Android phones. Now sceptics may object that kids (or young learners) would rather play with the cubes than use the app and only touch the screen. But let's face reality; today's students, even the youngest ones, are different from those we taught ten or twenty years ago - technology is now an essential part of their everyday life and integrating it effectively into ELT will only make learning more attractive and relevant. Furthermore, technology and creativity - two concepts that I tried to place side by side in this post - are not mutually exclusive, as some maintain. On the contrary, they go hand in hand and one promotes the other.